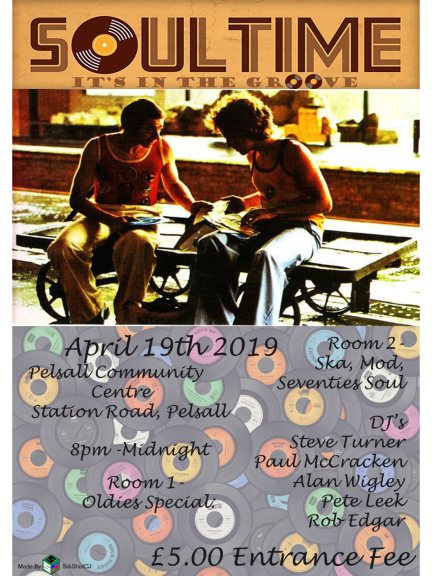 April 19th Good Friday let's make it great with Soultime Pelsall. Two room event featuring Northern Soul, Motown, Club Classics and Ska & Reggae. 8 till Midnight, great music, Local DJ's and Cheap Bar and dance on one of the best dance floors in the West Midlands.